Michael Cohen postpones House testimony, blames Trump "threats"
President Trump's former lawyer Michael Cohen said that he will postpone his scheduled Feb. 7 testimony before the House Oversight Committee due to "threats against his family from President Trump and Mr. Giuliani," as well as his cooperation in ongoing investigations, his lawyer said Wednesday. The big picture: House Oversight chair Elijah Cummings and House Intelligence chair Adam Schiff issued a statement Wednesday saying that while they understand Cohen's concerns, "not appearing before Congress was never an option ... We will not let the President's tactics prevent Congress from fulfilling our constitutionally mandated oversight responsibilities." President Trump, on hearing the news that Cohen was postponing his testimony over threats to his family, told reporters that Cohen is being "threatened by the truth." House Democrats issued a statement on Jan. 13 warning Trump about obstructing congressional investigators and potential witness intimidation, following the president's tweets and comments about Cohen's father-in-law, Fima Shusterman. Shusterman pleaded guilty in 1993 to federal income tax fraud related to his taxicab business in New York, and loaned at least $20 million to a major Chicago cab operator mentioned in the FBI warrants used to raid Cohen’s home, office and hotel room last April. Cohen has been ordered to report to prison on March 6, leaving him less than 4 weeks to reschedule his testimony. "Mr. Cohen volunteered to testify before the House Oversight Committee on February 7th. 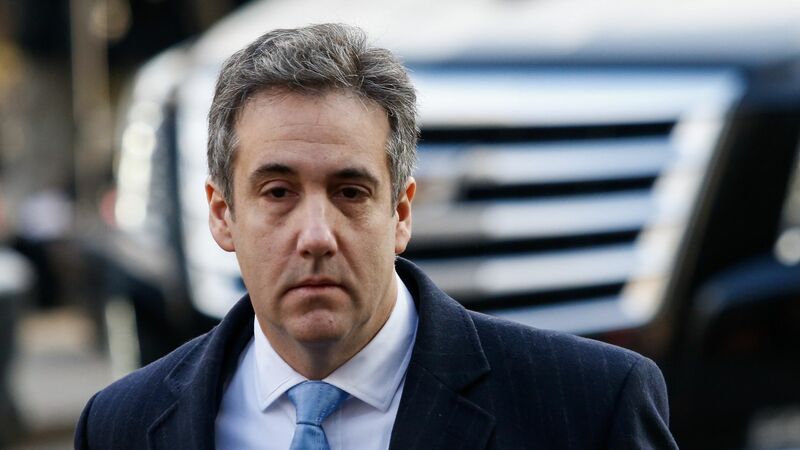 Due to ongoing threats against his family from President Trump and Mr. Giuliani, as recently as this weekend, as well as Mr. Cohen's continued cooperation with ongoing investigations, by advice of counsel, Mr. Cohen's appearance will be postponed to a later date. Mr. Cohen wishes to thank Chairman Cummings for allowing him to appear before the House Oversight Committee and looks forward to testifying at the appropriate time. This is a time where Mr. Cohen had to put his family and their safety first."